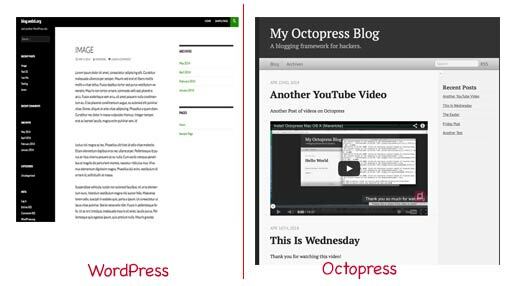 Why do I create this post about Octopress vs WordPress? Well, I have been using WordPress for almost 5 years, and recently also using Octopress for my private website, so I know both of them, I guess. And I want to share what I know to those who probably wants to start Octopress blog or those who are still in consideration between Octopress or WordPress. Using WP for years (since 2010) I really like the simplicity to create post and page without knowing html or php coding knowledge. And although I have been using Octopress not so long ago, not even a year, I do love the simplicity, just blog and leave it. What I meant by, just blog and leave it, is, you don’t have to worry about updating your Octopress, plugins, logging in your dashboard to create a new post, securing your admin page, and stuff like this. From a non developer or coder point of view. What is Octopress? 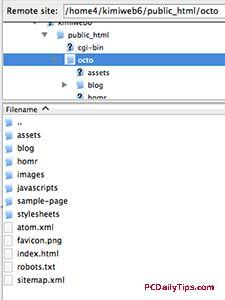 Octopress is basically a static blogging (html) generator that use Jekyll producing markdown post formats. So you don’t need any hosting that has PHP or mySQL features to install. What is WordPress? open source, blogging software that requires PHP, mySQL to install it. Like other free webhost, hosting your site in free webhost has one major drawback, you can’t own your files 100%. The host can disable your site all of sudden. In this case though, because you just need to deploy your Octopress you will still be able to deploy it in another host easily. However, the depression to be suspended that matters. If you decides to have a sharing hosting to host your Octopress site, then you must be able to access your webhost via SSH otherwise, it would be a bit troublesome. Other than WordPress, you don’t need to backup your database and files, because you have them already in your local computer. Just make sure you don’t delete the Octopress local directory. If we host it in GitHub, the only drawback is that other people can view your files, because it is viewable to everyone. At this point though, even if you host in the webhost, poeple can always download html files easily to their computer. So Octopress is very good if you want to blog and not caring about other stuff, however you must have fun to use terminal if you are using Mac, and Command Prompt if you are using Windows operating systems. If you love to try new stuff, then try Octopress, it is very easy and simple to use once you get it working. 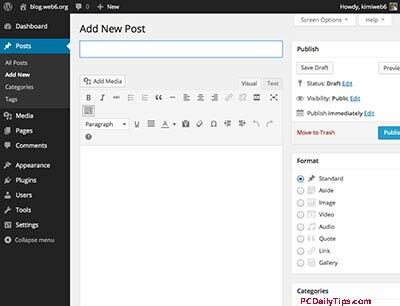 If you don’t have time to learn new things, and need to “non-savy” way platform, then WordPress is the way to go.